Rated 4 stars by our customers! 'No Other Name' is the year's highly anticipated annual Hillsong Worship album release, with 11 original songs perfect for individual and congregational worship. Featuring the songwriting, worship leadership, musicianship and vocals of those now well-known as the Hillsong Worship team, including Reuben Morgan, Ben Fielding, Matt Crocker, Joel Houston, Nigel Hendroff, Autumn Hardman, Annie Garratt, Jad Gillies, David Ware, and Taya Smith. The album's standout songs include the title track, 'No Other Name', which captures Hillsong Church's current season of building on the foundations of the past three decades and 'pioneering again', whilst continuing to lift up the One it all began with, Jesus. More than just songs, our prayer is that the album would give voice to individuals and churches across the earth, unifying them in a declaration of worship that is lifted to and for no other name but Jesus. 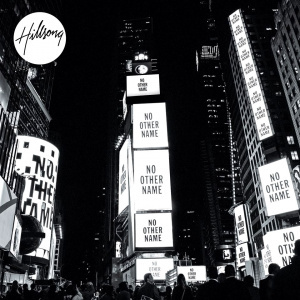 No Other Name CD by Hillsong was published by Hillsong in July 2014 and is our 2152nd best seller. The ISBN for No Other Name CD is 9320428279026. Absolutly love this, had it on repeat since receiving it. Every song points to the only name that matters, Jesus! A must have for 2014! Ususal excellent Hillsong sound and such a tool for worship. I am really disappointed in Hillsongs latest album. It is samey all though, the balance of male to female voices is too strong and has a hard edge, and I am sorry but I am not impressed. Feel I have wasted my money. Come on Hillsongs - you can do better then this! Will prob order again for xmas!! Got a question? No problem! Just click here to ask us about No Other Name CD. Now Playing: This I Believe (The Creed) Your browser does not support the audio element.